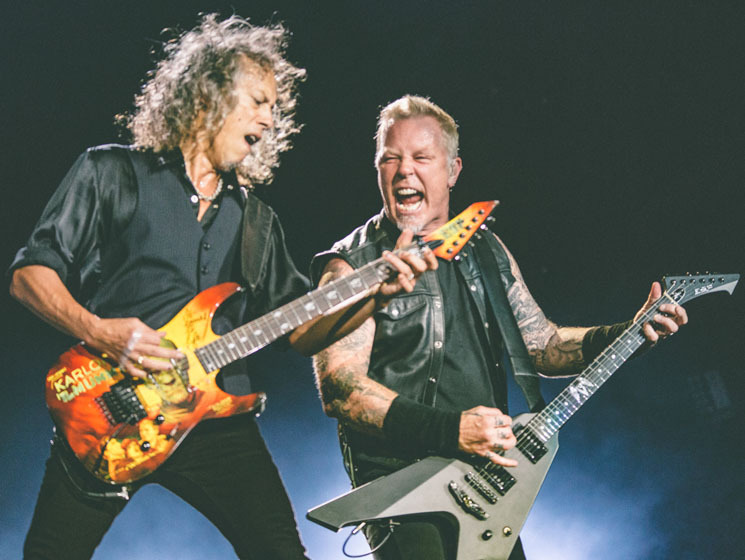 Metallica are taking their 2016 LP Hardwired…To Self-Destruct back out on the road for another leg of the "WorldWired Tour." The upcoming run of shows kicks off on September 2 in Madison, WI, but will eventually wind its way north into Canada for stops in Winnipeg on September 13 and Saskatoon on September 15. The dates will continue on into 2019, finally wrapping up in Grand Rapids, MI, on March 13. Tickets go on sale to the general public this Friday (March 2) at 10 a.m. local time. Pre-sales will begin for Legacy members and Fifth members tomorrow (February 27). See the full list of upcoming tour dates below.